It provides certainty and security for the future. A professionally drafted will should always be a part of an overall life plan so as to dovetail with any financial provision and tax planning. As a part of our service we review generally your current plans so your arrangements are seamless during your lifetime as well as after your demise. 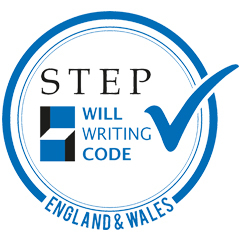 Austins adheres to the STEP will writing code. To that end, we can liaise with your other professional advisors such as accountants and independent financial advisors. Each will is drafted according to your individual circumstances and instructions, so as to be flexible and efficient. Fixed fees are available, as well as home visits by appointment. Much has been written recently regarding the difference between will writers and solicitors. Solicitors provide security, expertise and professionalism. We are regulated closely by the Solicitors Regulatory Authority and for the benefit of our clients we must provide a high level of Professional Indemnity Insurance. When you choose to draft your will with Austins we will guide you through the process and advise you fully as to its effect.